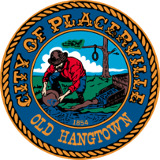 The Operations Division of the Placerville Police Department encompasses several different positions and assignments. The majority of the Division's assets are in Patrol Operations, which consists of patrol teams that cover the City 24 hours a day, 7 days a week, 365 days a year. These Patrol Officers respond to calls for service from community members, visitors, other city services, and merchants, as well as proactively working to reduce crime within the City. Patrol Officers and their team members in the Operations Division are the most visible representatives of city government, and provide a wide variety of services to the community. The men and women of the Operations Division include four uniformed Patrol Teams, the Traffic Unit, K9 Unit, and the bike patrol program also function within the Patrol Division.